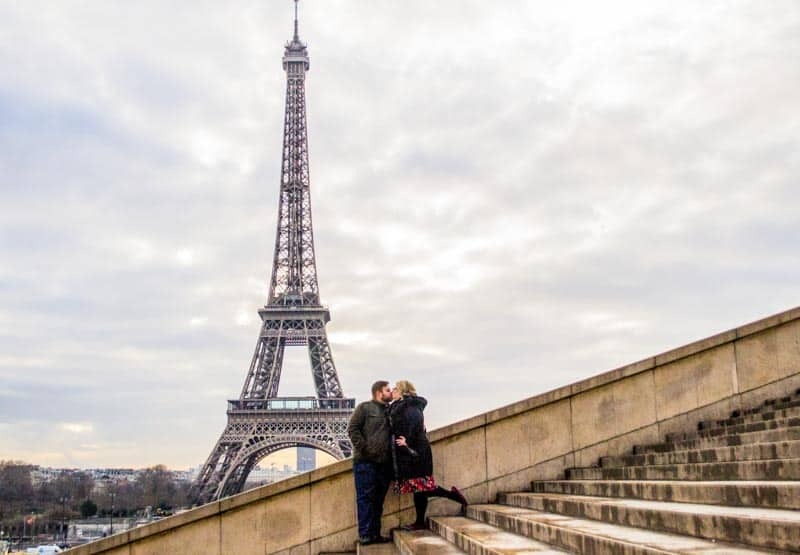 Today I’m sharing two ways of how to get great photos of you and your husband and see the sights in Paris, because as you know from this post about viewing art in Paris and this hotel overview we recently took a lovely – yet very short – trip to Paris! To add to that, you’re in a country where neither of you speak the language or know your way around, so what do you do? 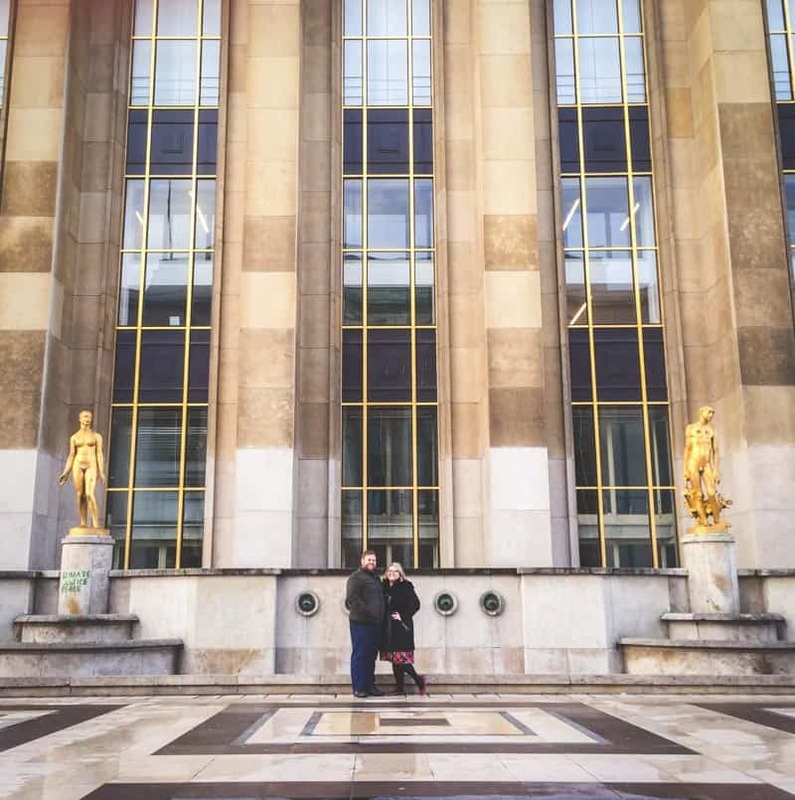 Well, today I’m going to share with you two ways of how to get great photos of you and your husband, and see the sights in Paris (but really, both these methods can be applied when traveling to many different countries and locations and you’ll see why). Travelshoot is a very cool company, they connect travelers with photographers all around the world. 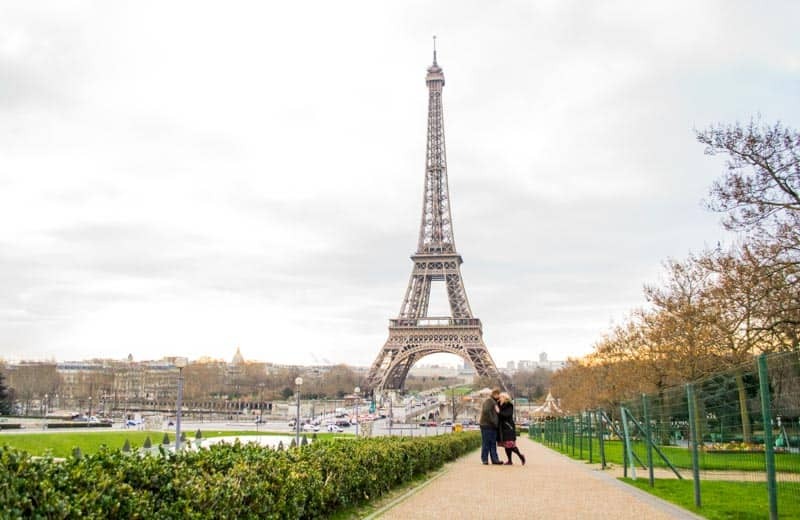 So let’s say you’re going to Paris and you want a picture of you and your spouse by the Eiffel Tower, well, that’s where Travelshoot comes in. You can hire a photographer to do a travel shoot, how perfect is that? Photos shoots can totally be awkward, let alone being in a different country, it seems almost overwhelming to try and set something like that up. So when I came across Travelshoot I was instantly in love with the idea. They arrange and coordinate the photo shoot for you (obviously in the location of your choice – they operate in many different cities and countries around the world) and then you have your travel shoot, after which they send you your photos. It’s as easy as that! 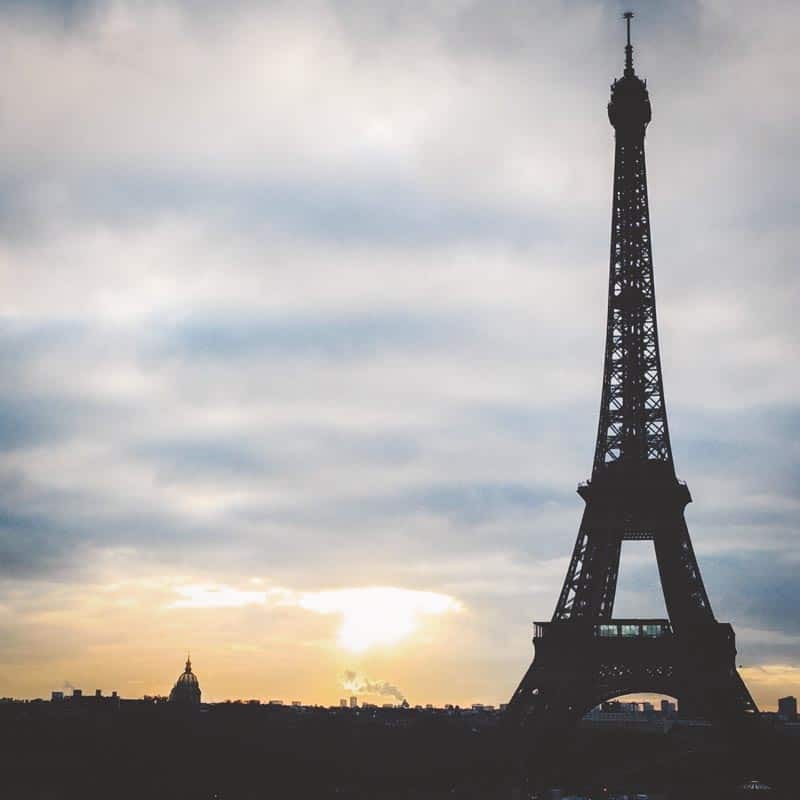 When we were arranging the photo shoot in Paris, Travelshoot was very communicative and asked about time of the day we wanted and was super accommodating. 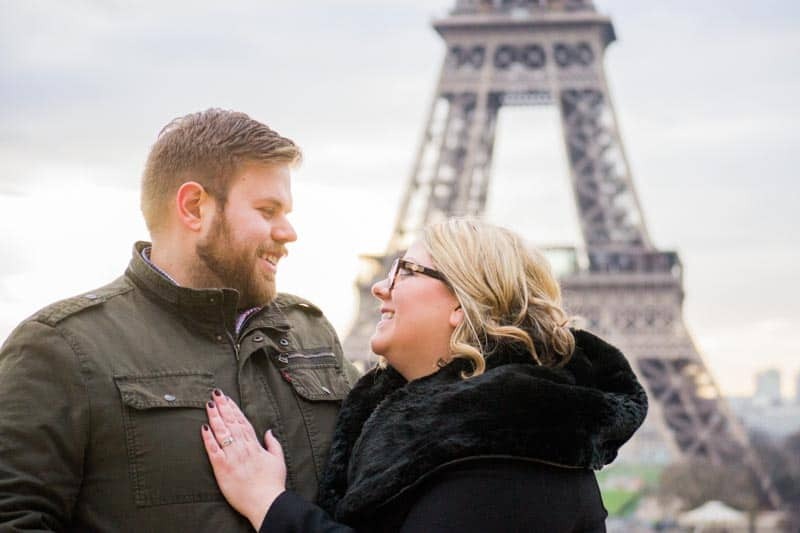 We were totally open and without a schedule, so when they suggested a sunrise photo shoot by the Eiffel Tower we were totally on board. The morning of the photo shoot we met face to face with our photographer (Ainsley) who instantly made us feel comfortable by talking and joking around with us. She gave us a few pointers, but it was really relaxed and we had a blast. It was super cold, hence you see us bundled up! Doing the Travelshoot really let us see the sights and created lasting memories with gorgeous photos, I highly highly highly recommend them! When you’re in a brand new city/country it can be a bit overwhelming thinking about what to go see and do. And on top of that, life has been so crazy busy that before leaving for our European vacation I had no time plan and make an itinerary like I normally do. I’m not even kidding – I got a few little travel guides but didn’t have any time to read them, so I threw them in bag and then proceeded to forget them…so yeah, I was in desperate need of some sightseeing help. 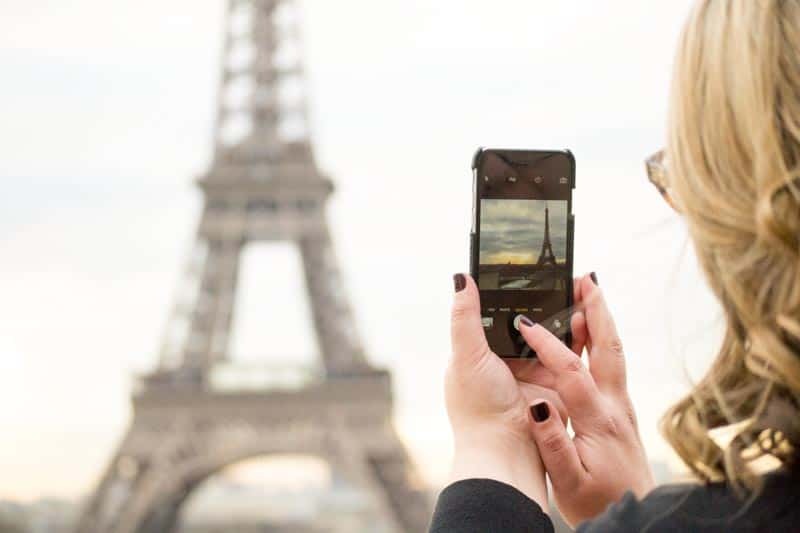 Enter Viator, a TripAdvisor company that offers sightseeing tours, activities, and things to do – all with an insider! 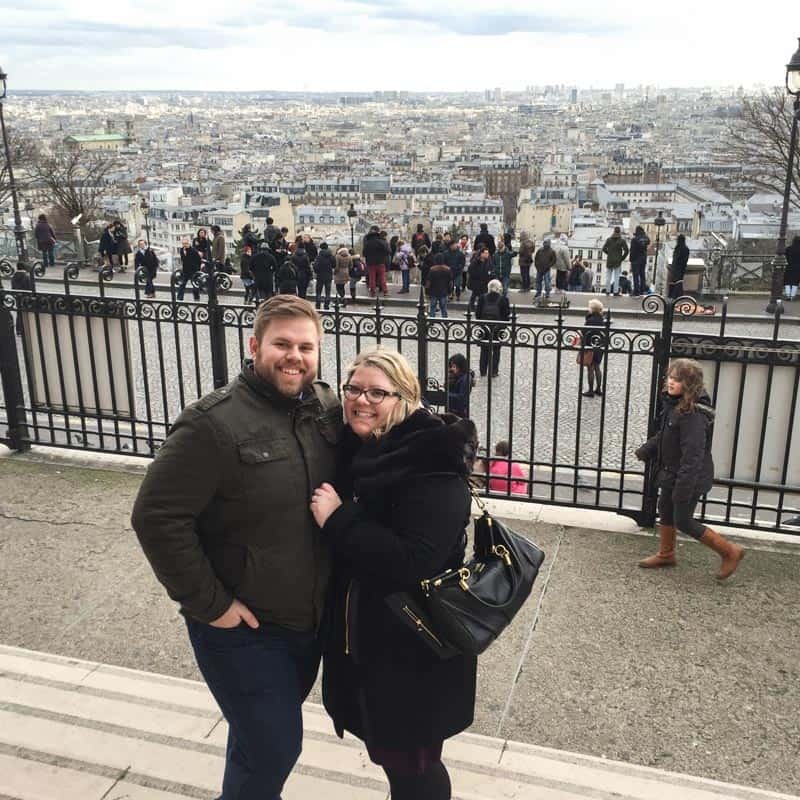 After looking at the hundreds of awesome tours and experiences Viator offers, we decided to book the Paris romance walking tour of Montmartre. 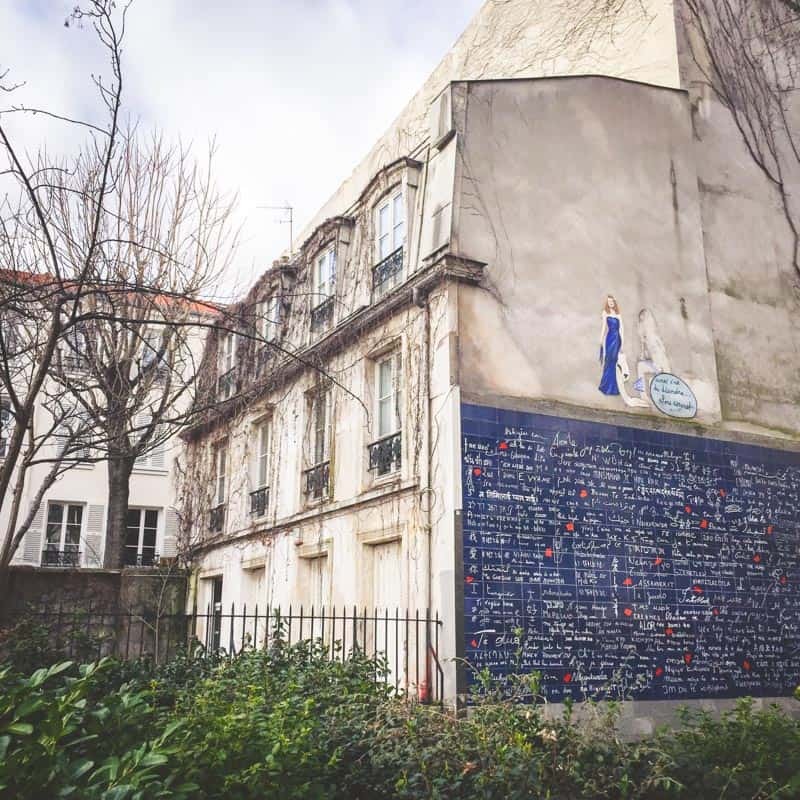 We met our tour guide in Montmartre and started the tour by the Wall of Love (a love-themed wall composed of 612 tiles on which the phrase “I love you” is featured 311 times in 250 languages – the red splashes on the wall symbolize parts of a broken heart). 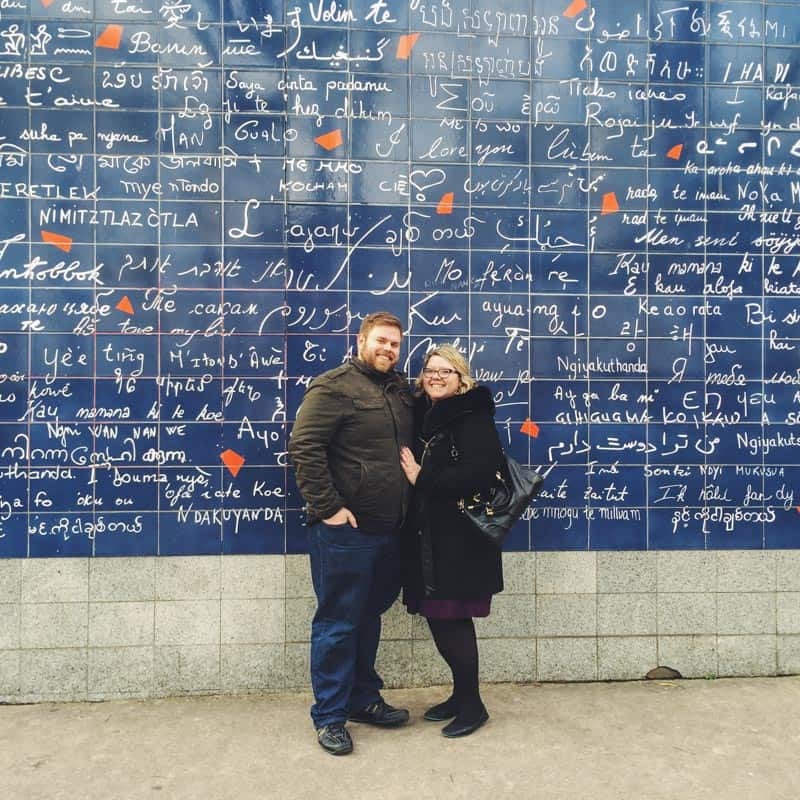 The wall is absolutely beautiful, and I will forever love the photo our tour guide took of us in front of it. 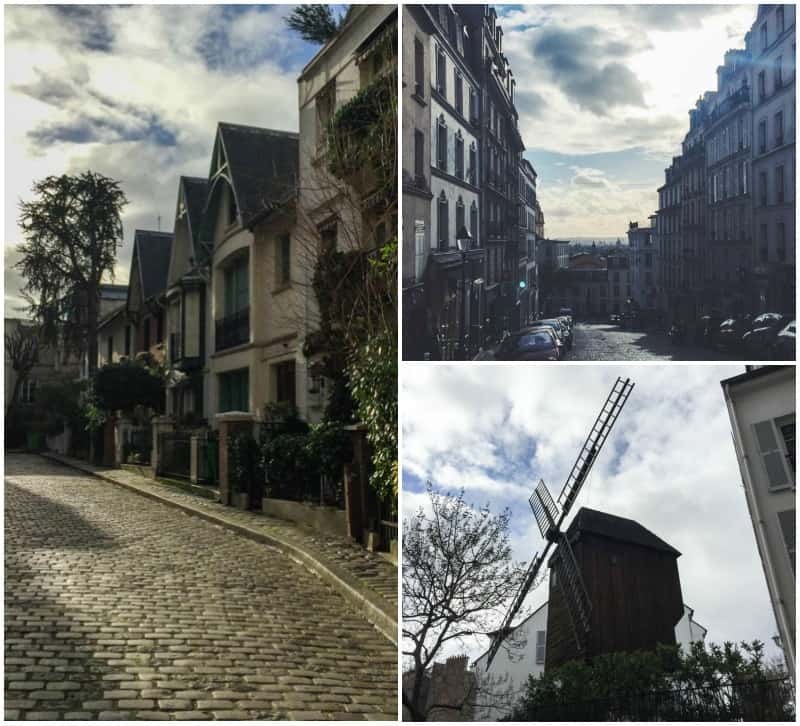 Montmartre is a large hilly area of Paris with cobble stoned streets, one could so easily get lost without some direction! Our tour guide was so knowledgeable about the area and took us through the winding streets and pointed out bits of history and background. 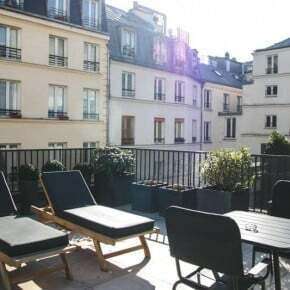 We would never have seen half the things we did in Montmartre had it not been for the Viator walking tour! 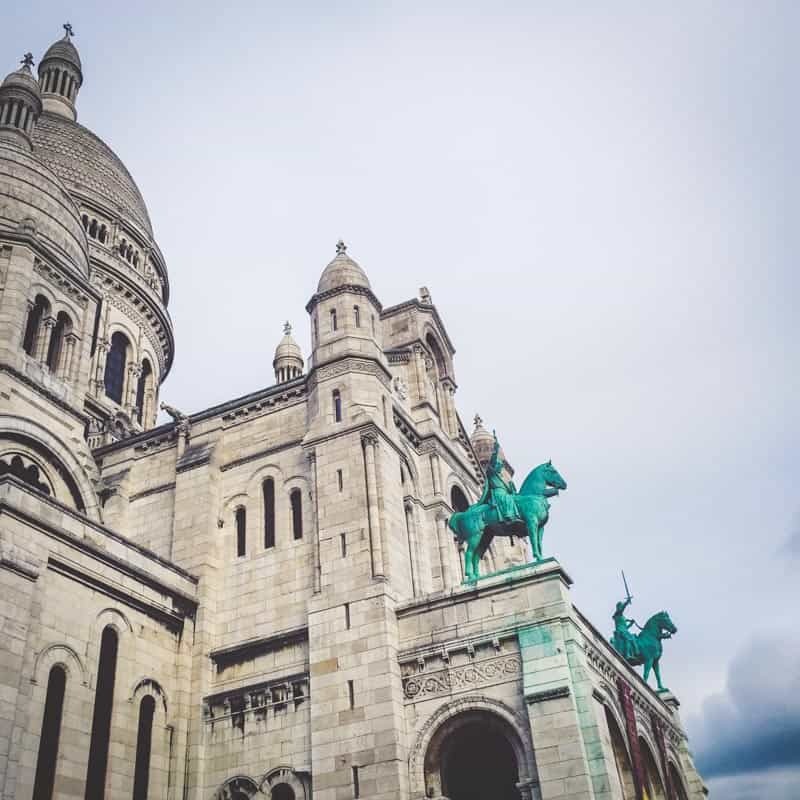 The tour concluded gloriously at the white-domed Basilica of the Sacré-Cœur which is on top of a giant hill and which looks out over Paris. There is no way we would have seen the gorgeous area (or gotten photos of ourselves) if it wouldn’t have been for the wonderful Viator tour. 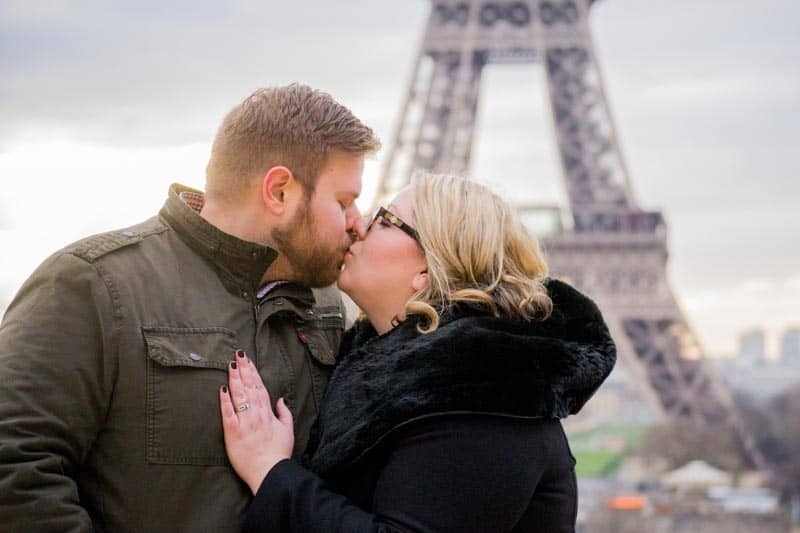 Thank you to Travelshoot and Viator for showing us Paris and providing us with some gorgeous photos that we will forever cherish. There was no obligation to write this post, I am doing so because we truly enjoyed our experiences with the two companies and I wanted to share my recommendations with the world. As always all thoughts and opinions are mine alone. 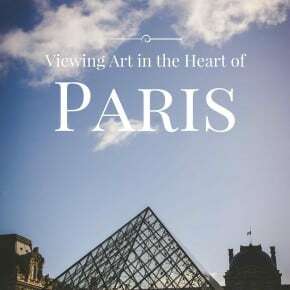 To read more about our time in Europe, please see 2 Days in Dublin and the Dublin Bay Area, Guide to Central London: Where to Stay and What to See, Viewing Art in the Heart of Paris, and 5 Reasons to Stay at the Hotel Eugene en Ville in Paris. These are such great tips! So worth it for the memories you bring home 🙂 Gorgeous photos!! What a great idea, and you have got some fantastic shots. We usually just take our tripod and set it on a timer, although that doesn’t always work out so well. I’ve tried the whole tripod route, and let me tell you – after trying Travelshoot and Viator, it’s the way to go. With a tripod I would have to carry ‘gear’ all around and set it up just so, and it usually ended up with one of us frustrated because the timer or something didn’t work out right, and it took SO much time to set up, it just wasn’t worth it (for me). With a Travelshoot it was so easy and someone else did the photos and editing – super easy! And we got to see some cool things we never would have seen with Viator, couldn’t recommend both those companies more! Both excellent services Phi! So glad that you guys had the opportunity to enjoy Paris and not worry about things like that:) You guys are adorable! Have a beautiful week dear Phi! Thank you so much girl, so glad you liked the suggestions. And I totally hear you about it being like pulling teeth with the photos….however, I do have to say that setting up a Travelshoot was awesome. It was only an hour long, super quick, the time flew by and the photographer was SO good and easy to work with – it was honestly super painless. You can tell Dave that it’s only an hour, and that you’ll have the photos for life! AND, it’s so much better than trying to get selfies or bring your own camera equipment lol. 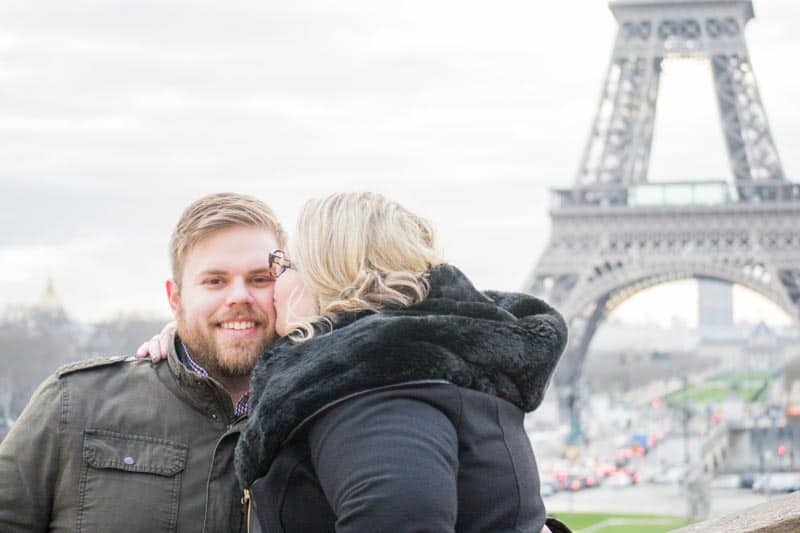 These are great tips for couples traveling together, Philia! Love your photos, and this post is definitely a must read.